Rakuten.com has DEWALT DW715 15-Amp 12″ Compound Miter Saw for $218.88 – $58.89 w/ code CPONEW (New Customers Only) = $159.99. Shipping is Free. DWT2716: Features: -Exclusive precise miter system and machined base fence support deliver increased cutting accuracy.-Tall sliding fence supports crown molding up to 5-1/4” nested and base molding up to 6-1/2” vertically against the fence while easily sliding out of the way for bevel cuts.-Bevels 0 -48 to the left and 0 -3 to the right for increased capacity.-0 -50 left and right miter capacity for greater versatility.-Lightweight with built-in carry handle for easy portability.-Cam lock miter handle with miter detent override deliver quick and accurate miter angles. 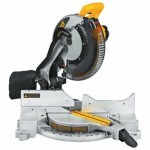 Specifications: -Adjustable stainless steel miter detent plate with 11 positive stops delivers repeatable accuracy and worksite durability.-4 hardened steel bevel stops at 0 , 33.9 , 45 and 48 delivers versatility at most common bevel angles.-Designed for use with the DW7187 DEWALT Adjustable Miter Saw Laser System which delivers visibility to the cutting path.-15 amp motor, 4,000 rpm provides extended power and durability. Amazon.com has Brother XL2600I 25-Stitch Free-Arm Sewing Machine on sale for $69.99. Shipping is free. The Brother XL2600i is perfect even for beginner sewers, with features that are easy to learn and use, a lightweight compact style and an instruction manual that helps take you through everything from basic setup to custom-sized buttonholes. This versatile sewing machine is perfect for so many home sewing projects such as altering and creating clothing, crafting, quilting, home decor and more. 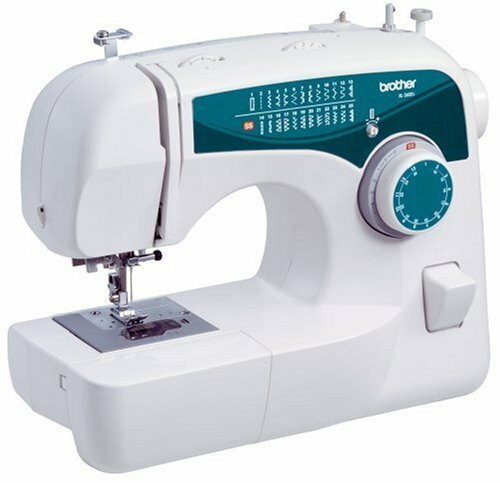 Loaded with features, the Brother XL2600i offers 25 built-in utility, decorative and heirloom stitches, and a built-in free arm that allows you to easily sew hems on pants or shirt sleeves. It comes with built-in convenience features such as a 1-step auto-size buttonholer, easy needle threader and drop-in bobbin, all designed to make your everyday sewing quick, easy, and fun. Includes bilingual English/Spanish instruction manual, 25-year limited warranty, and free phone support for the life of the product. 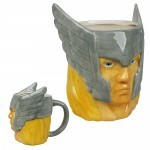 EntertainmentEarth.com offers Buy One Get One 40% off all Classic Imports items. 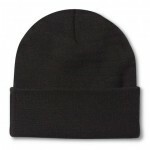 Shipping is free on orders $79 or more. 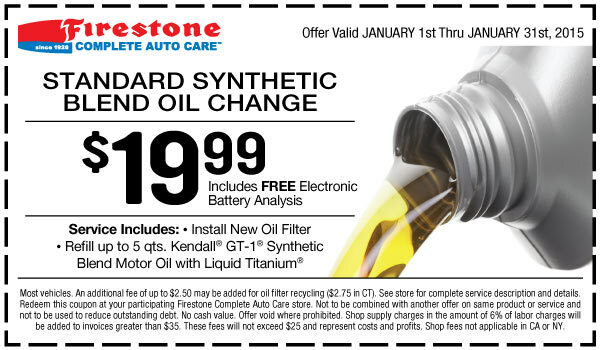 Offer expires 12/15/2014. Have you got an unquenchable desire to up your barware game? Tired of disposable cups that don’t quite fill the bill? Whether you see the glass as half empty or half full, you’ll love these refreshing items from Classic Imports. For a limited time only, buy one, get one 40% off on all in-stock mugs, tumblers, glasses, and more! 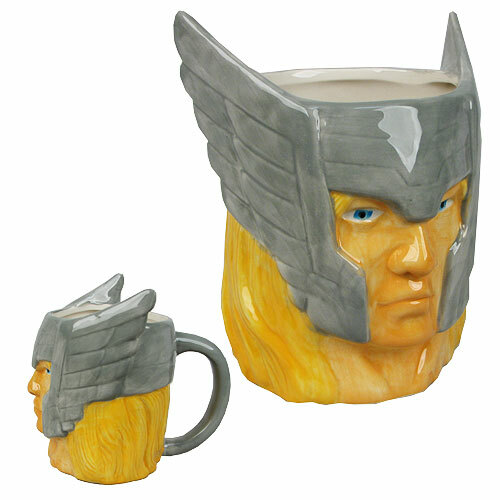 Impress your guests and save on incredible collectibles today. Entertainment Earth: Non-mint sale! Buy one, get one FREE! 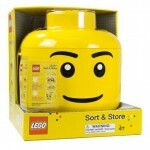 Target.com has LEGO Sort and Store Storage Bin Head on Sale for $23.98. Shipping is free. Your kids will actually want to organize and store their LEGO bricks with the fun LEGO Sort N’ Store head. All they have to do is put their LEGO bricks into the head and shake it gently. Bricks get sorted into small, medium and large sections. They can lift each section to see sorted LEGO bricks. Wipe clean. Ages 4 and up. Sears.com has 6-Pack of 2′ x 2′ Norsk Square Interlocking Foam Mats (Black) on sale for $9.99. Select free store pickup to save on shipping. The 2 ft. x 2 ft. 6pk foam flooring borders are a great way to both protect your floor and eliminate foot fatigue. When you are standing all day at the workbench or kneeling down to work on a car, you will be thankful for the Norsk flooring tiles. Made of foam, they stand up to moisture damage to help prevent slips, they absorb shock, and they protect your knees, back and joints. The gray 2′ x 2′ foam flooring borders are also a great way to protect your flooring from spills and dents. Put them in the mudroom, for example, so you don’t worry about the kids and pets tracking dirt all over your floor. The versatile design and size is convenient for a range of other rooms too, including garages, basements and work areas. Lightweight and compact, the flooring tiles are easy to move. Add comfort with every step when you lay down the foam flooring tiles. Assembly is required, with six per set. KMart.com has Kenmore Oscillating Fan-Forced Space Heater (white) on Sale for $14.99 with free in-store pick up. The Kenmore 92050 fan-forced oscillating heater is a high-efficiency heater and fan that packs a lot of power into a compact package. It has two heat settings that can warm up to 150 square feet as well as a fan-only setting. Safety features include an enclosed coil wire heating element, Stay Cool body, tip-over shutoff and overload protection. 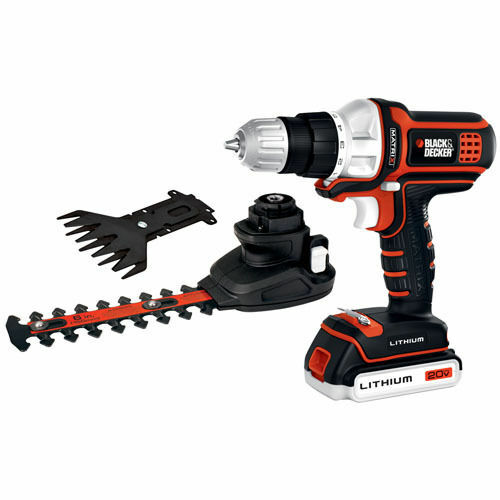 HomeDepot.com has Husky 3-Ton Garage Jack Kit for $55 with free store pickup. Availability for store pickup may vary. 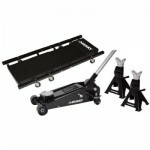 The Husky 3-Ton Garage Jack Kit includes one 3 Ton Garage Jack, two 3 Ton Jack Stands and a 36 in. 6 Wheel Creeper. Perfect for work on you automobile in your home or business garage. Use the jack stands to support your vehicle after lifting to desired height. Then use the creeper to roll underneath the car to make repairs. The creeper has a maximum weight capacity of 300 lbs. 3 ton garage jack lifting range is 5-1/2 in. to 18-1/2 in. 3 ton jack stands have a lifting range of 12 in. to 17-1/2 in. 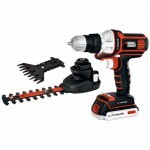 HomeDepot.com has 4-Piece Ryobi One+ Lithium-Ion Drill/Driver, Reciprocating & Circular Saw Kit (P1872) on sale for $129. Shipping is free. 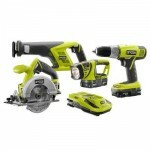 Ryobi presents the 18V ONE+ 4-piece Lithium-Ion Combo Kit, available online only as a Special Buy while supplies last. Backed by Ryobi’s 3-year warranty, this kit includes an 18V drill/driver, reciprocating saw, circular saw, work light and 1-hour dual chemistry charger. The 2 included 18V compact 1.5 Ah lithium-ion batteries offer 20% more runtime, are 45% lighter and hold a charge 4 times longer than 18V NiCd batteries (P100), providing exceptional power and long-lasting performance for a variety of applications. 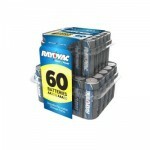 HomeDepot.com has 60-Pack Rayovac Batteries (30 AA + 30 AAA) on sale for $9.98 with free store pickup. The Rayovac Alkaline 1.5-volt AA and AAA Batteries (60 per Pack) offer long-lasting power to run the devices, from toys and games to flashlights and smoke alarms that you use each and every day. 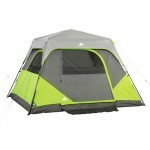 Includes 30 AA batteries and 30 AAA batteries. Nubeestore via Amazon.com has Nubee Non-Contact Infrared Thermometer Digital Temperature Gun w/ Laser Sight for $16.98 – $5 w/ promotional code 83805OFF = $11.98. Shipping is free with Prime or if you spend $35 or more. Take accurate temperature readings with this laser-sighted infrared gun-style thermometer. Reads in Celsius or Fahrenheit, there is a switch on the pannel to choose between them. There’s also a switch to turn on or off the laser sight. Features – Accuracy: 2 degrees/ 2%, Distance Spot Ratio: 12:1, C/F Selection, Backlight switch , Response Time: 500ms, Auto Power Shut-Off, Automatic Data Hold, Low Battery Indicator. Stores 123 via Rakuten has 6-Quart Instant Pot 7-in-1 Programmable Pressure Cooker (3rd Gen) on Sale for $129.99 – $25 w/ promo code BUYWITHGOOGLE (1st-time Google Wallet users) = $104.99 with Free Shipping. Instant Pot IP-DUO series is a 7-in-1programmable cooker, built on our best-sellingIP-LUX series. IP-DUO combines the functions ofa pressure cooker, slow cooker, ricecooker/porridge maker, steamer, sauté/browning,yogurt maker and warmer. Using the 14 built-insmart programs (Soup, Meat/Stew, Bean/Chili,Poultry, Sauté, Steam, Rice, Porridge, Multigrain,Slow Cook, Keep-Warm, Yogurt, Pasteurize andFermented Rice), your favorite dishes are withinthe reach of pressing a button. Green peas,sweet corn and baby carrots can be steamed in 2to 3 minutes, fresh or frozen. To make mashedpotato, don’t boil potatoes in water for 50 minutesleaching nutrients into the water; steam them in Instant Pot for just 15 minutes.An entrée of chilli or Irish stew can be done within an hour, without you watchingover it. To tailor for varying tastes and food conditions, the programs come with 3adjustable modes. Special features include 3 temperatures in Sauté for browning,simmering or thickening, and 3 temperatures in Slow Cook to complete the tasksof a common slow cooker. Most traditional, modern and international recipescan be easily adapted for Instant Pot. A 24-hour timer allows for delayed cooking. Automatic keep-warm holdsthe temperature of the food until you are ready to serve. It works as aperfect porridge maker allowing you wake up with a fresh made porridge. 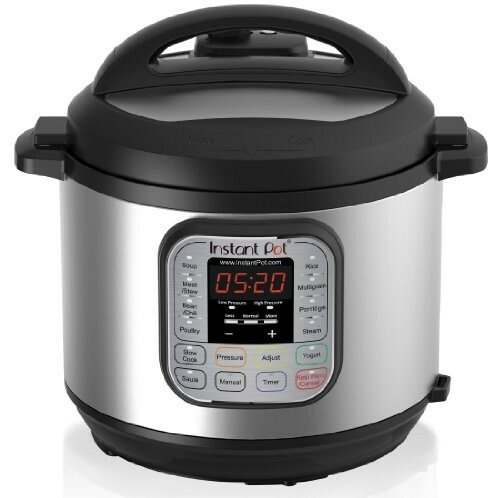 Instant Pot generates almost no noise and leaks no steam. It traps allthe aromas in the food. It cooks food without heating up thesurroundings. It is truly a kitchen-friendlyappliance. The 3-ply bottom stainless steelinner pot is extremely durable and leaves nohealth concerns of non-stick coating residual.The new slim body design has a smaller footprint and lid holders for both left- and righthandedusers. The brushed stainless steelexterior is finger print resistant. 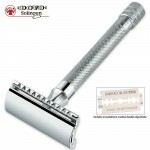 Its elegant anddurable industrial design makes it easy to cleanand pleasurable to use for the years to come. Oster.com is offering their Oster VERSA 1400-watt Professional Blender w/ Low Profile Jar for $125 (price drops in cart) + free shipping. 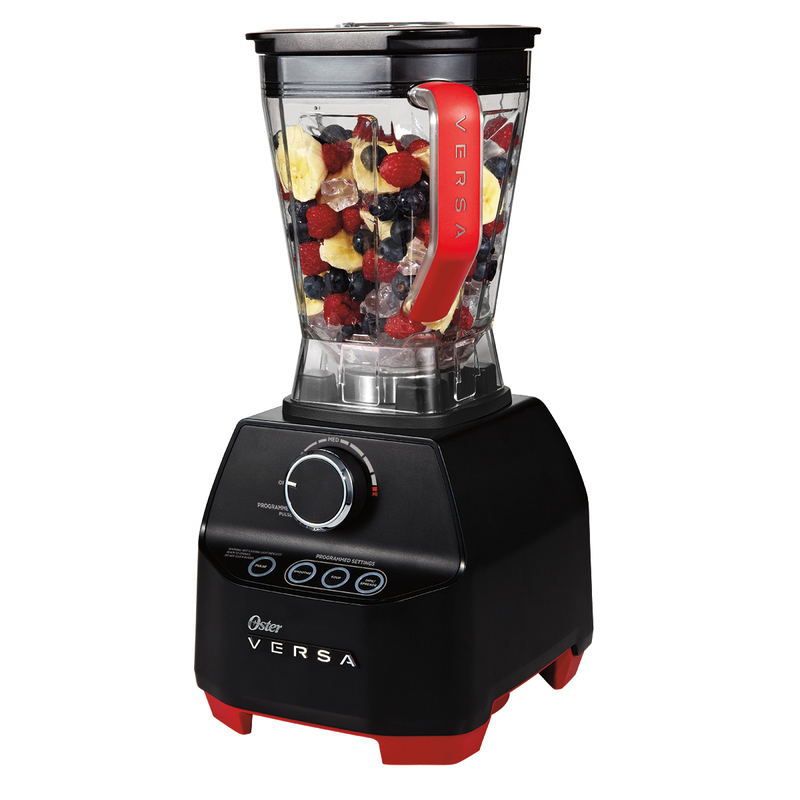 The Oster® Versa® Performance Blender makes it possible to blend whole fruits, vegetables and more into healthy smoothies and nutritious dishes for optimal nutrition. Its powerful 1400-watt motor and 250 MPH blade speed blend foods to the perfect consistency and freshest taste. 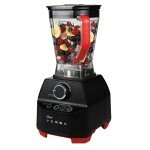 Make the most of your ingredients and explore the blendabilities with the Oster® Versa® Performance Blender. Walmart.com has Bissell 3-in-1 Stick Vacuum (various colors) for $15.84 with free site to store shipping. 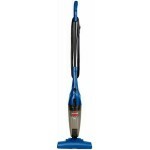 The Bissell 3-in-1 Stick Vacuum is designed to be your “go to” vacuum for cleaning up throughout your home. It easily converts to go anywhere you need it! Use it on carpet, bare floors, stairs and upholstery. The Bissell 3-in-1 Stick Vacuum provides the versatility of a stick vacuum, hand vacuum and with the included crevice tool, a vacuum that easily gets into those hard to reach areas. 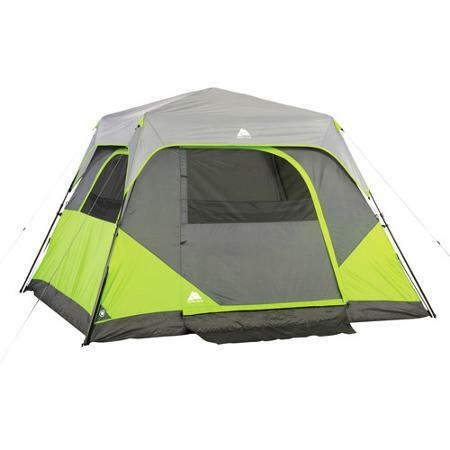 Walmart.com has Ozark Trail 6-Person Instant Cabin Tent with 2x Intex Fabric Queen Airbed Bundle on sale for $119. Shipping is free or select in-store pickup as an alternative option. Bundle and save. 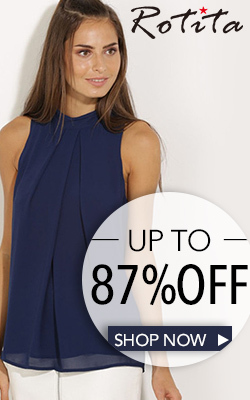 Get more and spend less when you buy these items together.